Well, we finally ditched cable TV. I have told a few people this, and you wouldn't believe the shocked reactions I am getting. Real looks of horror/compassion/discomfort. ...here we are. No cable TV. Yet, it is a little odd. 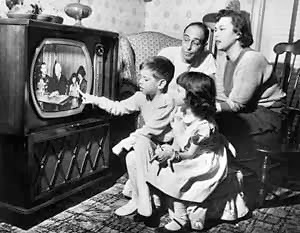 I have, in the past, been a junk-TV watcher. When I have time to kill -- like when no one else is home and I am eating lunch -- I will sometimes sit down and watch worthless TV; silly video shows and Cops -- that sort of thing. Twice, so far, I have found myself reaching for the remote and then realizing the lack of quick access. To watch something, I would have to make a real decision and then search for it and...who has that kind of time? -- or energy? So, I did something else; or, I sat in silence and listened to the kids playing in the distances of our neighborhood. That simple. And after a few days, I stopped feeling the urge. The boys have complained a bit about lags in loading shows, but even they seem to be getting used to it. After all, they have other ways to watch things. They like to watch stuff on YouTube, on the computer or on their tablets -- usually video game walk-throughs -- and they are both capable of finding other things to do. My older son will go out and slay imaginary foes for hours at a time and my younger son will either join him or sit and draw. I think it's going to work out. A few weeks ago, in order to turn down the noise level in my life, I stopped listening to the radio in the morning on the way to work. For the first week, I found myself instinctually reaching for the dial in order to fill the silences. Now, I don't realize the radio is off until halfway through the trip, at which point, instead of reaching for the dial, I draw a contented sigh. We really don't need this stuff, do we? As Ray Bradbury once said, in some form, we have so much stimulus coming at us on TV and radio these days that we are tricked into thinking that we are thinking. It feels cool not to be bombarded with sound and visuals all day long; or, rather, it feels good to be hit with the natural ones as opposed to the artificial ones. I think it's good you ditched Cable TV. I've found that TV takes away from my ability to do other things, and I'm sure you've found yourself distracted by it on many occasions. I really hate to jump in the hype of things, but there's something going around called "BanBossy." I'm not sure if you've heard of it, but I've already made a post on my blog about it, and I would love to hear your view on it as well. In fact, if your opinion of it was completely opposite of mine, I think I'd enjoy it more. If you don't feel the hype is worth your time, I'd just as equally appreciate an email discussion.